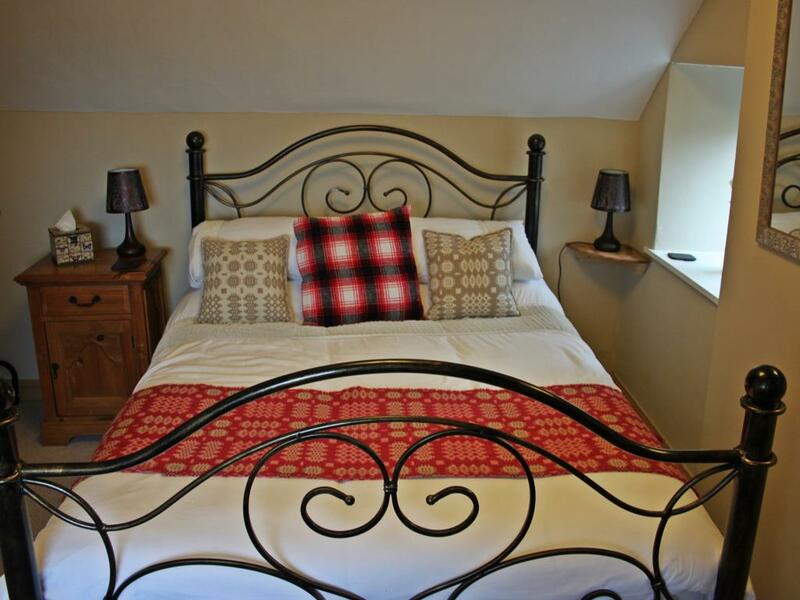 Moorland View is a spacious twin room on the first floor with views of the grounds (more importantly our resident hens) and also a small picturesque window frames the rolling Garn Prys hill to the rear of the guest house. 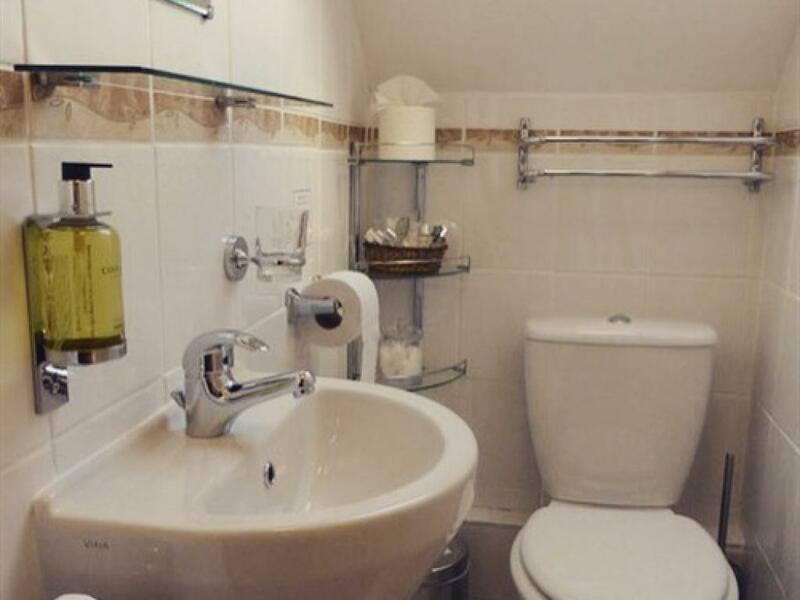 Moorland View has private bathroom facilities located just down the hall and are exclusivly for your use. The petite bathroom features a shower (over a bath), hand basin, toilet, small vanity mirror with light and shaver point with complimentary Cole & Lewis toiletries. The guest room features twin wooden framed beds both with comfortable bedding accompanied by local Trefriw Woollen Mill throws and cushions, wash basin, dressing table, small fitted wardrobe, towel rail with soft fluffy white towels, Freeview television (albeit limited channels in the middle of the countryside) with built in DVD player, bed side clock radio with built in iPhone (4 only sorry) charging station and also tea and coffee making facilities (with fresh milk on request). Pines View is a spacious double en-suite room on the first floor with some of the best views of Snowdon and the outlining National Park. 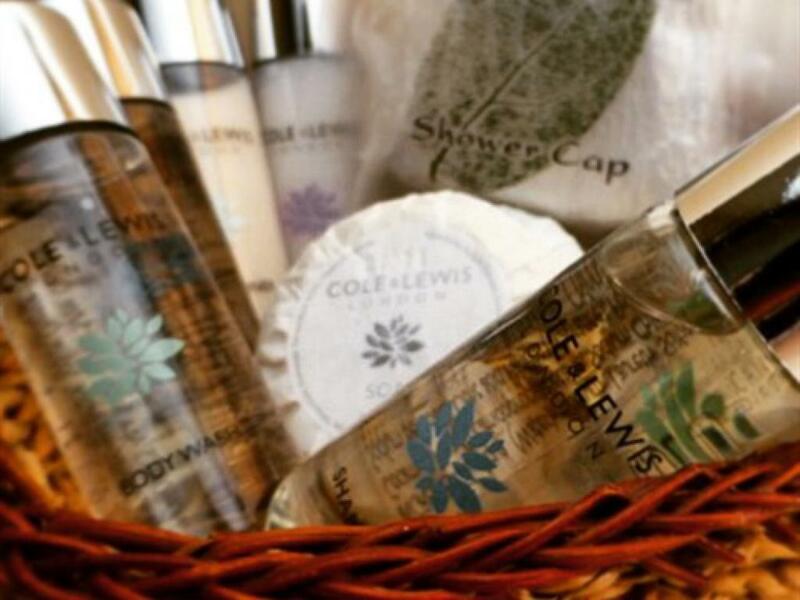 The en-suite bathroom features a walk in shower 'with a view', chrome towel rail with soft fluffy white towels, hand basin, toilet, a large oak framed mirror and complimentary Cole & Lewis toiletries. 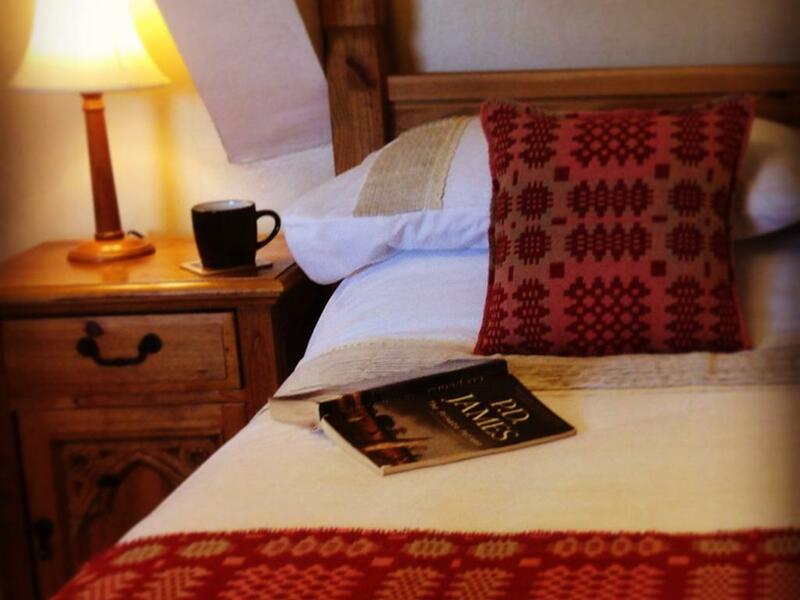 The guest room features a double wooden framed bed with comfortable bedding accompanied by local Trefriw Woollen Mill throws and cushions, dressing table, Freeview television (albeit limited channels in the middle of the countryside) with built in DVD player, bed side clock radio with built in iPhone (4 only sorry) charging station and also tea and coffee making facilities (with fresh milk on request). 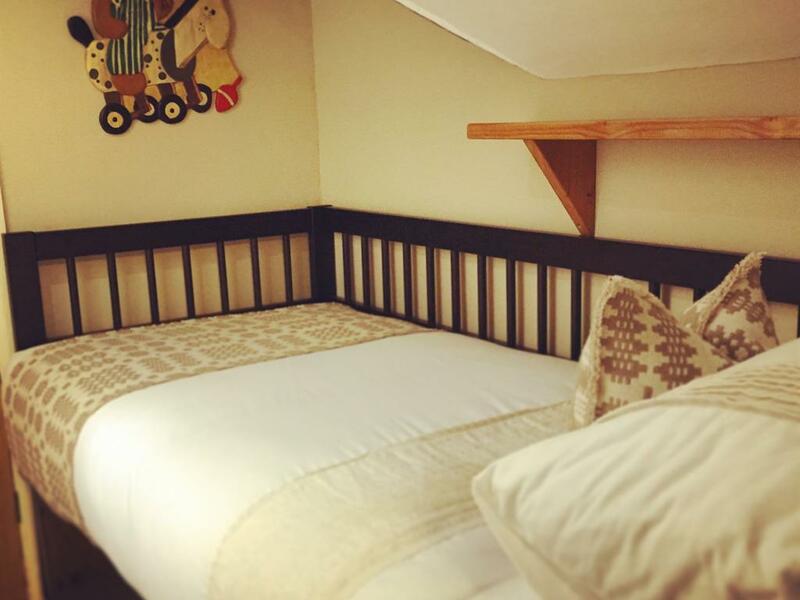 Mountain View is a quaint double room with an additional single 'daybed' suitable for children on the first floor with some of the best views of Snowdon and the surrounding rolling hills of the National Park. 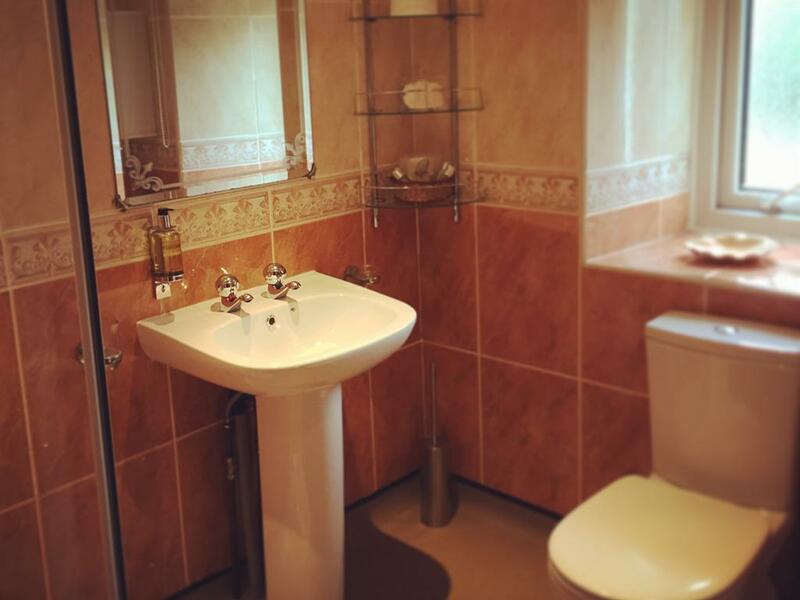 The petite en-suite bathroom features a walk in shower (with a step), hand basin, toilet, small vanity mirror with light and shaver point with complimentary Cole & Lewis toiletries. 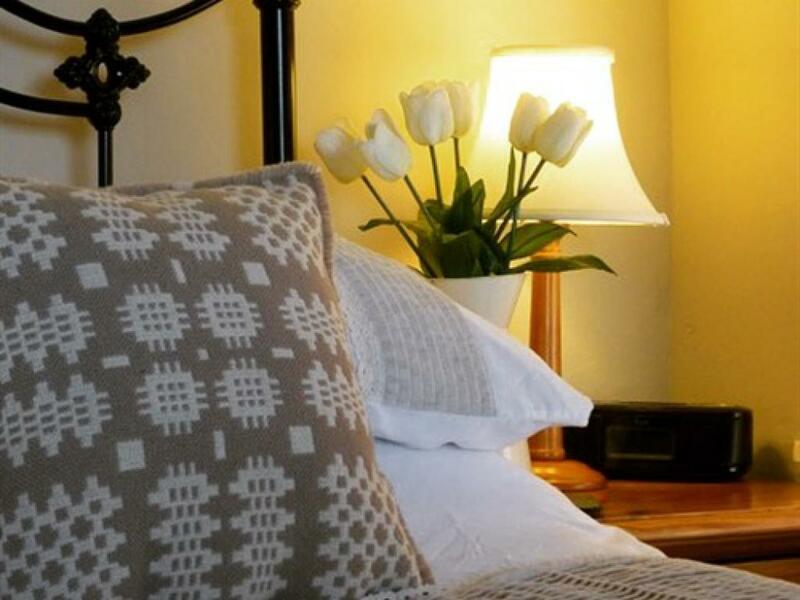 The guest room features a double metal framed bed and a small single wooden 'daybed', both with comfortable bedding accompanied by local Trefriw Woollen Mill throws and cushions, chest of drawes, clothes rail, heated towel rail with soft fluffy white towels, Freeview television (albeit limited channels in the middle of the countryside) with built in DVD player, bed side clock radio with built in iPhone (4 only sorry) charging station and also tea and coffee making facilities (with fresh milk on request). 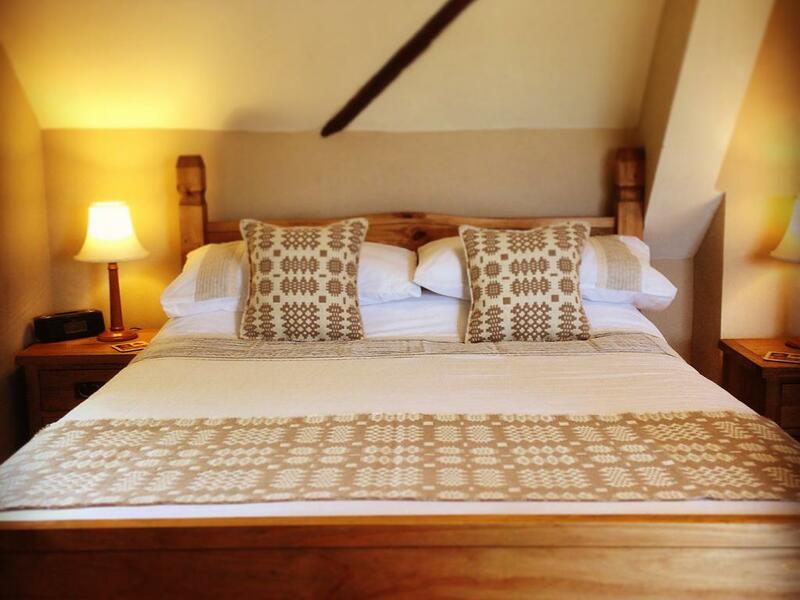 Our Mountain View room can be configured as a double en-suite, twin en-suite or small family room en-suite, maximum occupancy is two adults and one child (aged 10 +). 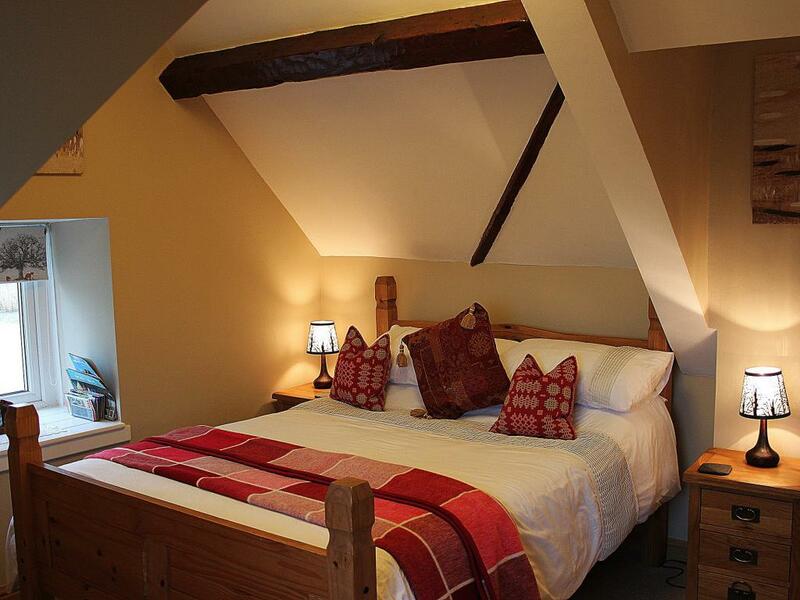 Lake View is a quaint double room on the first floor with views overlooking the grounds and lake to the front of the guest house. The petite en-suite bathroom features a walk in shower (with a step), hand basin, toilet, small vanity mirror with light and shaver point with complimentary Cole & Lewis toiletries. The guest room features a double wooden framed bed with comfortable bedding accompanied by local Trefriw Woollen Mill throws and cushions, dressing table, towel stand with soft fluffy white towels, Freeview television (albeit limited channels in the middle of the countryside) with built in DVD player, bed side clock radio with built in iPhone (4 only sorry) charging station and also tea and coffee making facilities (with fresh milk on request). 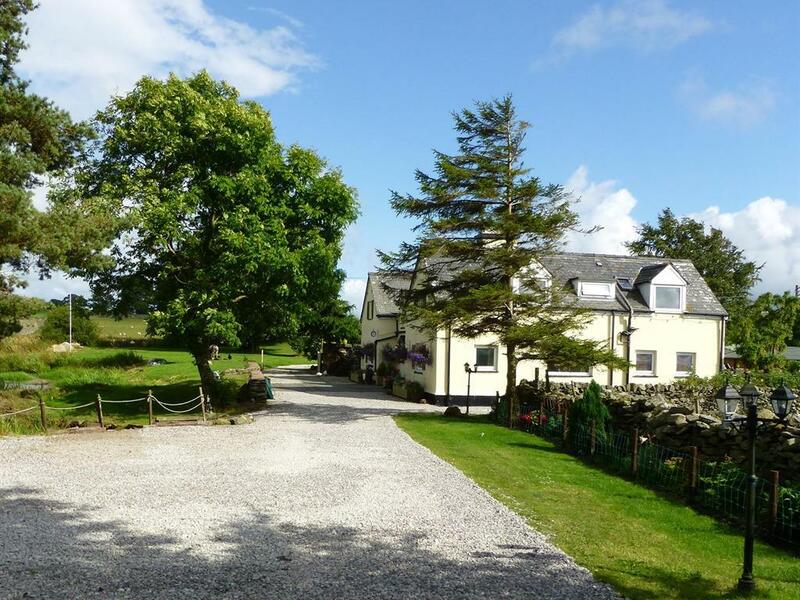 Harmony is a wheelchair accessible double en-suite room on the ground floor located directly off the main reception hall with views over the rolling fields to Snowdon. 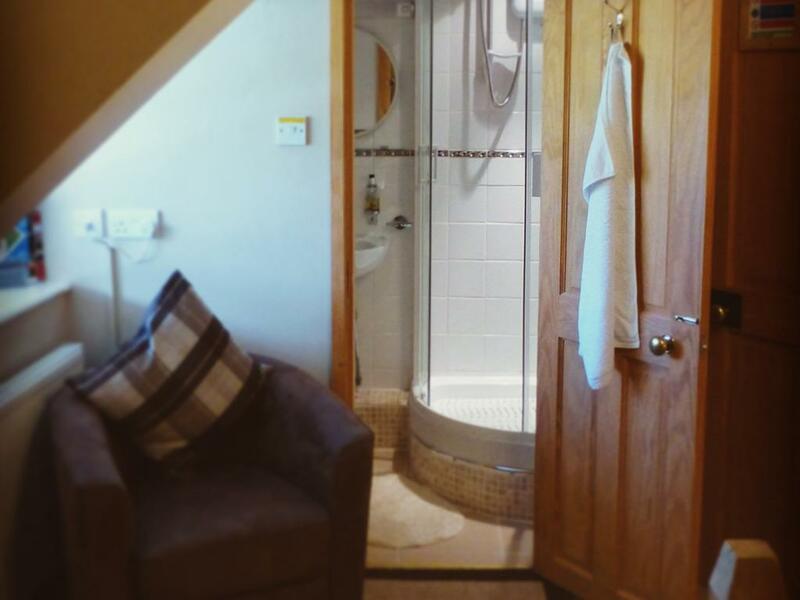 The spacious en-suite bathroom (styled as a wetroom) features a walk in shower, heated towel rail with soft fluffy white towels, hand basin, toilet, vanity mirror with light and shaver point with complimentary Cole & Lewis toiletries. The guest room features a king size wooden framed bed with comfortable bedding, dressing table, large wardrobe, arm chair, Freeview television (albeit limited channels in the middle of the countryside) with built in DVD player, bed side clock radio with built in iPhone (4 only sorry) charging station and also tea and coffee making facilities (with fresh milk on request). 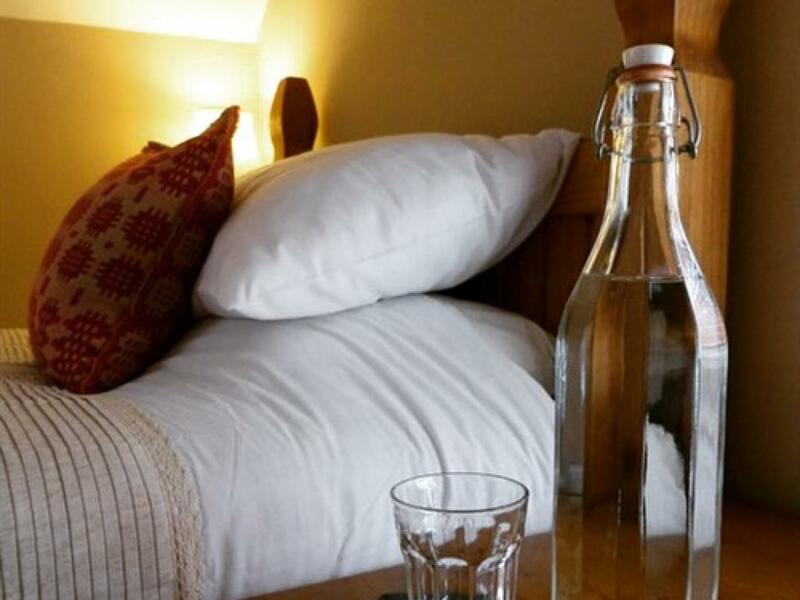 Llwyn Onn Guest House is a former Victorian Watermill, School House and Welsh cottages that has been sympathetically restored into a modern Welsh country guest house. 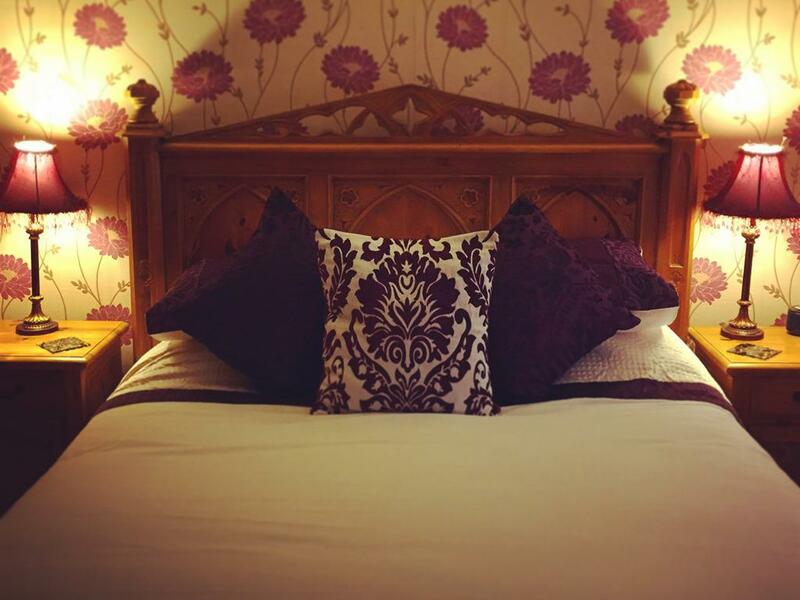 Our aim is to offer a relaxing atmosphere with thoughtful and attentive family service with stylish rooms and a comfortable nights sleep. Not forgetting that all important Welsh breakfast the following morning. unfortunately we do not permit children under 10 years old. 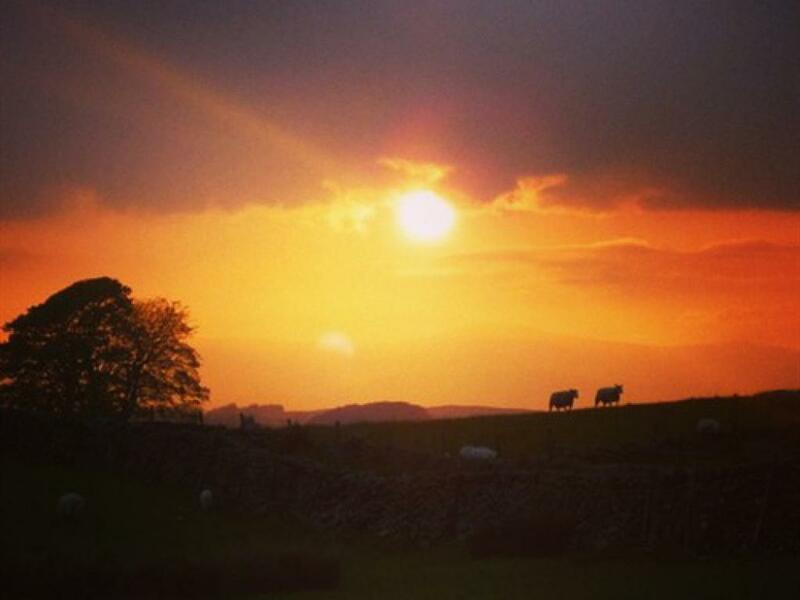 We think North Wales can offer the rest with it's dramatic outstanding natural beauty. Our Rooms Pines View - a spacious double en-suite room on the first floor, walk in shower and some of the best views of Snowdon and the outlining National Park. 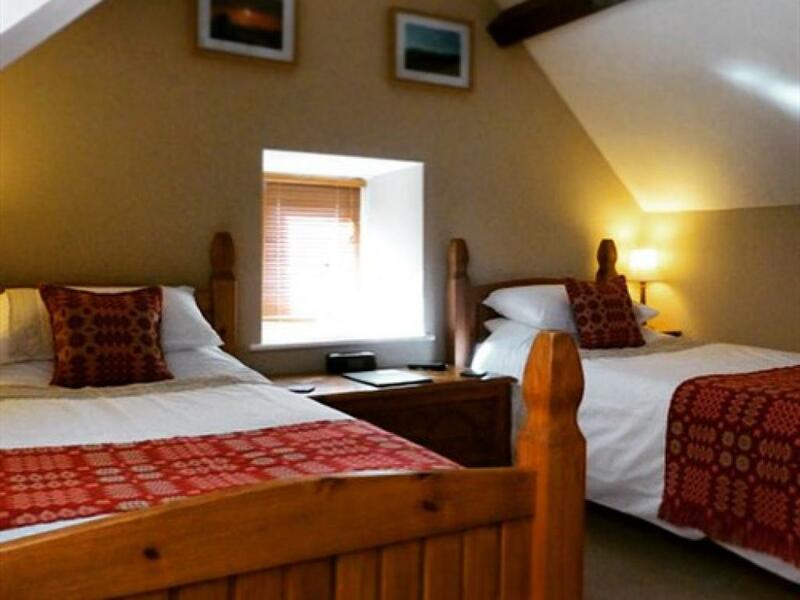 Mountain View - a quaint double or twin en-suite room on the first floor, with one double bed and one single/daybed, walk in shower and some of the best views of Snowdon. 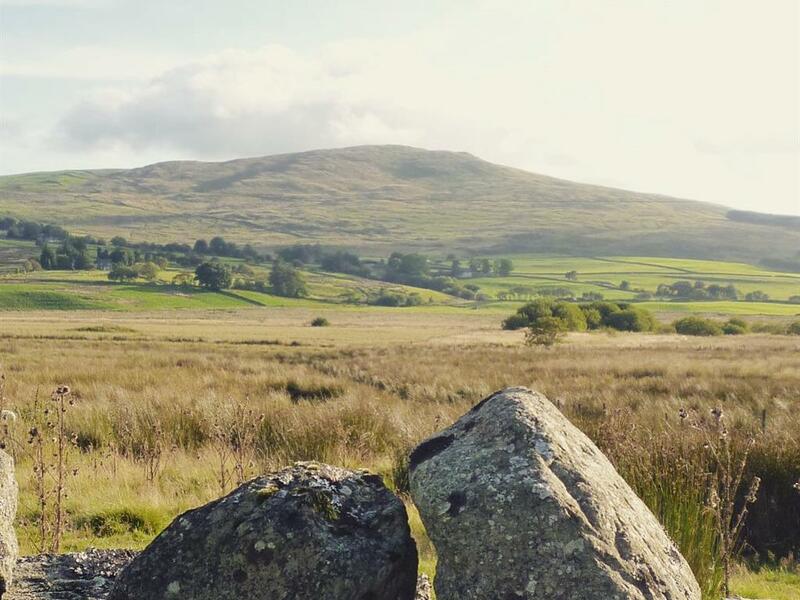 Moorland View - a spacious twin room with two single beds on the first floor, own private bathroom facilities just down the hall with shower over a bath and washbasin in the room with views out over the rolling moorland to the sumit of Garn Prys. 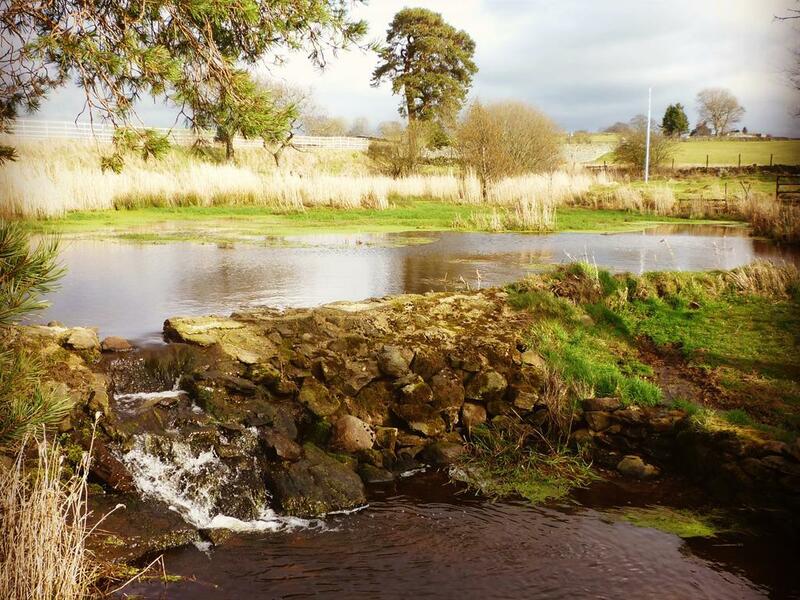 Lake View - a quaint double room with petite en-suite room with walk in shower on the first floor, with views overlooking the grounds and lake to the front of the guest house. 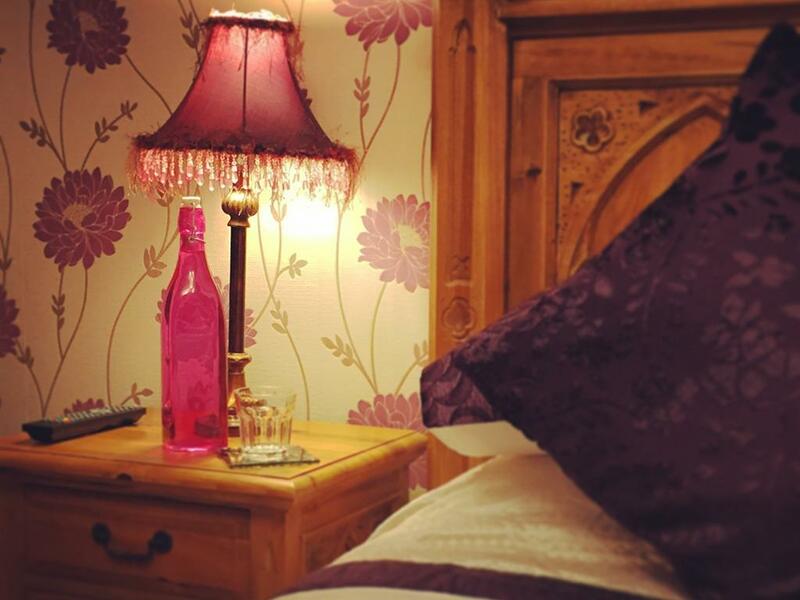 Harmony - a wheelchair accessible double en-suite room on the ground floor, with large bathroom with walk in shower and views out towards Snowdon and the National Park (views can be limited in the summer owing to our fresh supply of raspberries for our fruit salads). The guest house is approached from the A5 trunk road via a side lane for 20 metres and left into a car parking area which accommodates eight vehicles. The car park surface is covered with loose limestone chippings. Cars can be unloaded at the entrance of the guest house and assistance is available if required. The entrance door to the house is 740mm wide with a small step 75mm high, leading into the reception area. There is seating available in the reception area. 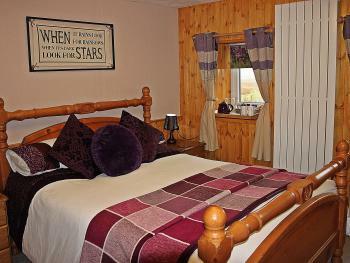 All ground floor rooms are on the same level throughout the guest house and all doorways are 710mm wide. Guest acommodation on the ground floor level is 1 wheelchair accessible double room with en-suite/wetroom. Access to the 1st floor it is by a staircase with 4 steps up to a small landing and six more steps onto a carpeted level on the first floor. 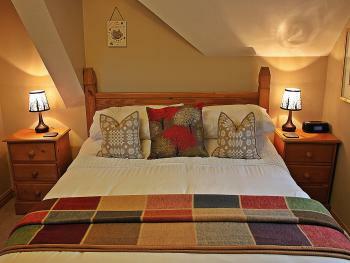 Accommodation on the first floor comprises 3 Double-en-suite rooms and one Twin room with private bathroom. All doorways to rooms, bathrooms and en-suites are 710mm wide. In Betws-Y-Coed, continue on the A5 in the direction of Llangollen for some 6.9 miles until you reach the small village of Pentrefoelas. Continue along the A5 out of Pentrefoelas for 1.9 miles. Along the A5 after Pentrefoelas you will reach a cross roads signposted Rhydlydan and Cwm Llwm. 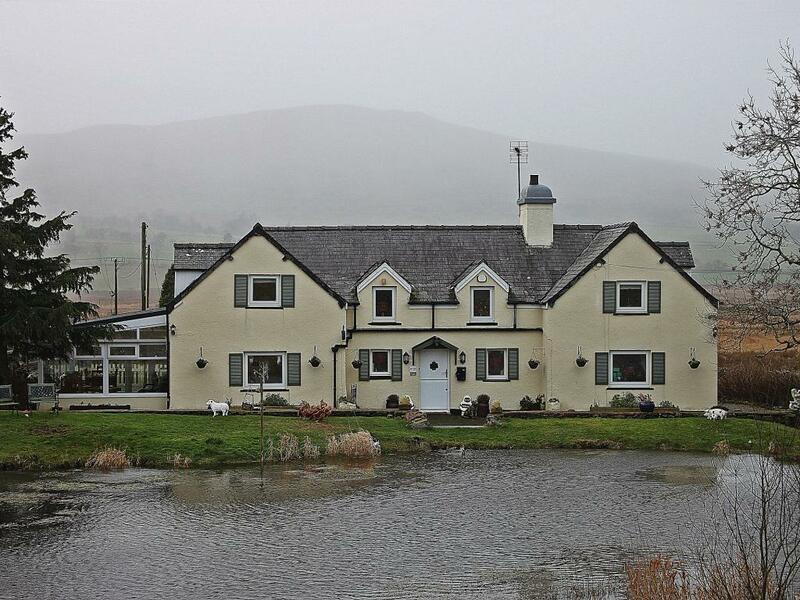 Continue along the A5 until you reach the brow of a small hill in the road, Llwyn Onn Guest House is located on the right hand side. Starting at the River Dee in Llangollen travel up Castle Street and turn right onto the A5 in the direction of Betws-y-Coed. Once on the A5 leave Llangollen and remain on the A5 passing through the villages of Glyndyfrdwy, Carrog and the town of Corwen. Continue following signs for Betws-y-Coed and Cerrigydrudion. You will reach Cerrigydrudion after 19.6 miles. Passing Cerrigydrudion on the A5 continue through the village of Glasfryn. 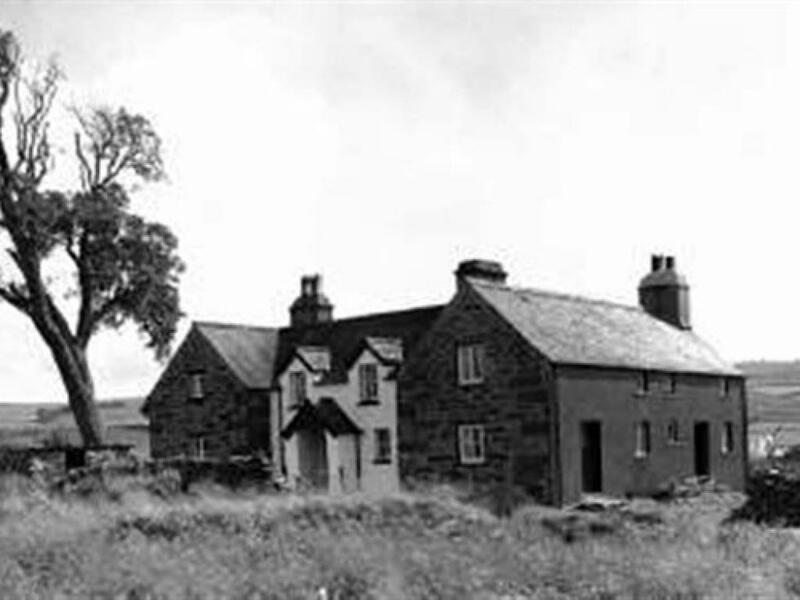 Llwyn Onn Guest House is 1.5 mile on the left hand side.